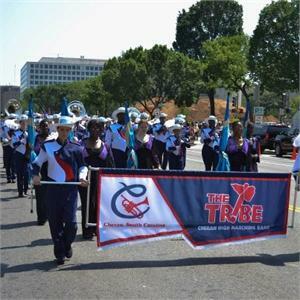 Marching banners can be made using two different methods: Sewn and appliqued method using nylon fabric, and the dye-printed method using dye-sublimation ink on polyester fabric. 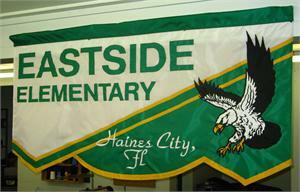 Most of the banners we produce currently are dye-printed. 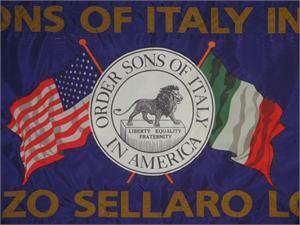 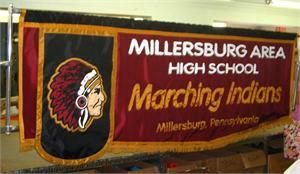 Both methods result in beautiful, colorful and long-lived banners. 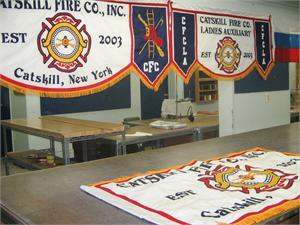 Using either method, the banners will last a lifetime given normal usage and storage. 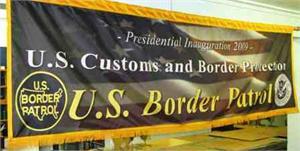 The sewn and appliqued banners are made of colorfast nylon fabric, whereas the polyester fabric banners are dyed with colorfast dye-sublimation ink. 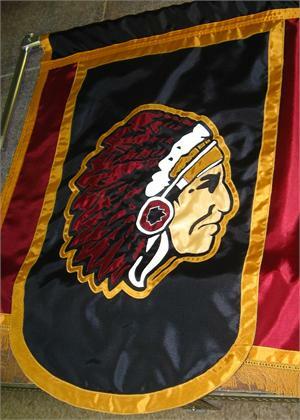 Holding the banner in your hands or very close up you will see a visual difference in the surface of the banner depending on which method is used. 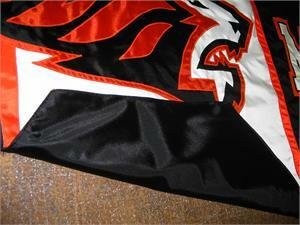 Close up you will see the applique surface difference relative to the dye-print surface. 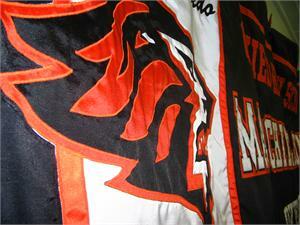 However, at the visual distance of over 12' or more you can't tell the visual difference in the two methods. 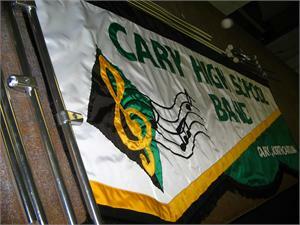 When the banner is in actual use in a parade or when placed on a stand game-side or when displayed on the stage in your auditorium, at visual distance, the viewer will see a beautiful, well-constructed banner and will be unable to determine the method of construction. 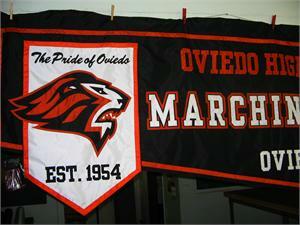 Since sewn and appliqued marching banners are generally more expensive to produce than the dye-printed marching banners, this economy of the specific method may influence your buying decision. 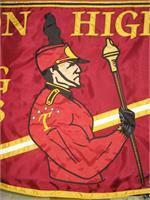 The pictures in the expanded galleries are just some of the marching banners we have made over the years. 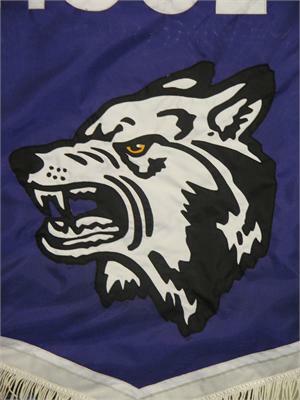 Underneath the photo is an identification of the banner being either sewn on nylon fabric or dye-sublimation on polyester fabric. 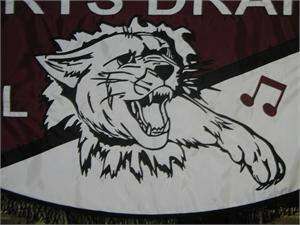 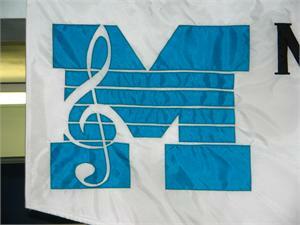 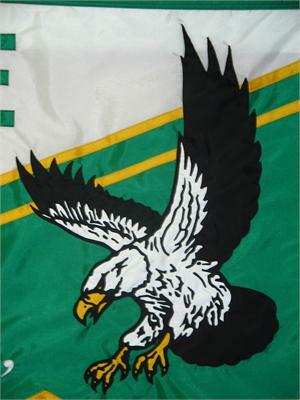 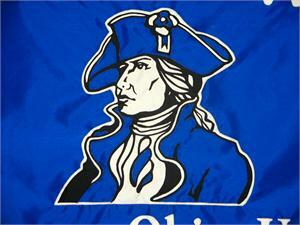 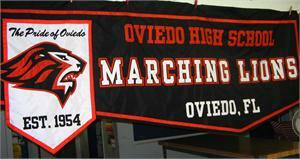 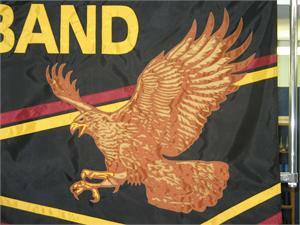 Marching banners can be either Dye-Printed using polyester fabric or Sewn and Appliqued using nylon fabric. 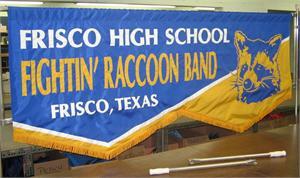 Both methods result in a very high quality banner you will be proud to use for many years. 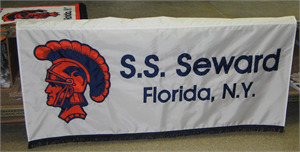 Sewn nylon banners are inherently more expensive than dye-printed due to the time and labor involved in sewing all design elements and letters.